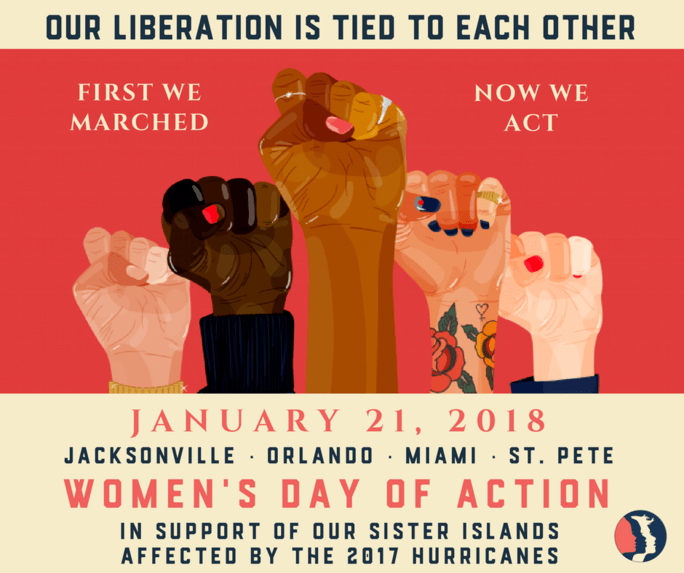 The Women’s March Jacksonville is holding a Women’s Day of Action on January 21, 2018 at The Jacksonville Landing to celebrate the one year anniversary of Women’s March. We are looking for volunteers to help. If you are interested in volunteering please complete this form. Feel free to share with friends and other supporters. Thank you, Bonnie! If you filled out the form posted, we will be in touch shortly! Appreciate the help and support! Can’t wait to start the year off right! I would love to help, just let me know where and when! Please just fill out our volunteer form on this site and we will connect you to the right people! Thank you!